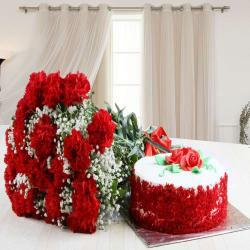 Product Consists: Bunch of 25 Mix Roses in Cellophane Wrapping with Matching Bow Tied + 1/2 Kg Black forest cake. 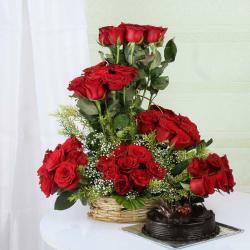 Hamper can truly symbolize your sincere feelings and sentiments in any occasion. 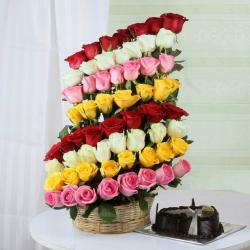 Sending this precious combo from Giftacrossindia.com yours someone special can relay feelings of love, affection, or even friendship depending on the occasion and events. 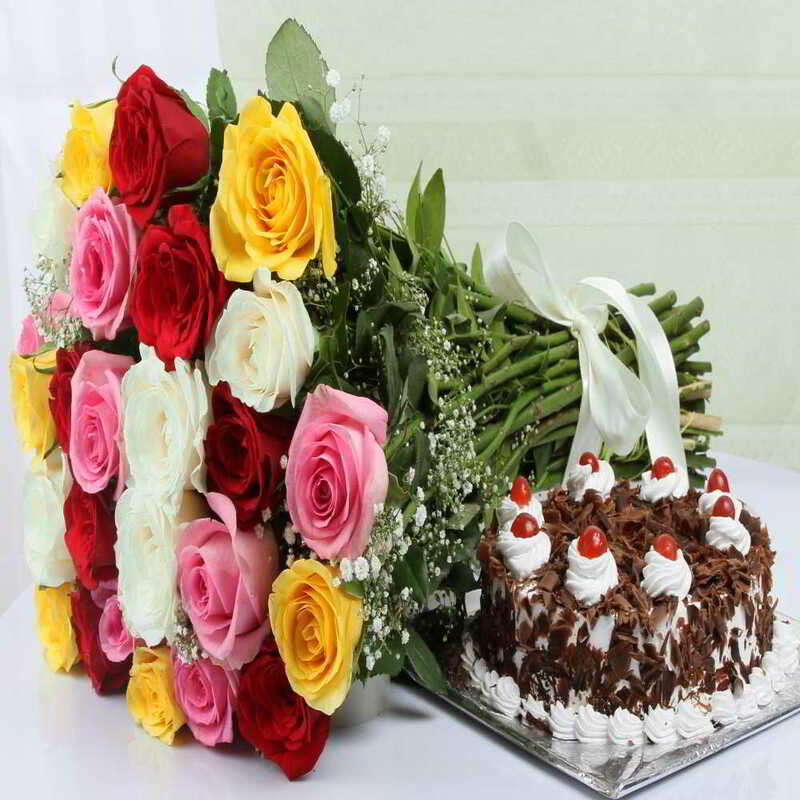 Make feel recepient more special by gifting your loved ones with this lovely combo on diffrent ocassion like Birthday, Anniversary, Diwali, Onam, Parents Day, Boss Day. It is the sweetest gift to give some someone and make a blissful memory. It is sure to overwhelm your loved ones. Product Consists: Bunch of 25 Mix Roses in Cellophane Wrapping with Matching Bow Tied + 1/2 Kg Black forest cake.